The Over Centre Fastener is a great example of the intricate products we can produce, put together and supply complete. 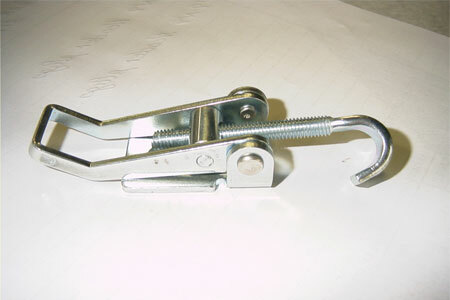 This product has tooling created to punch out the parts, then we’ve bent, riveted, threaded and fastened. We can make different sized versions of this to suit your needs.